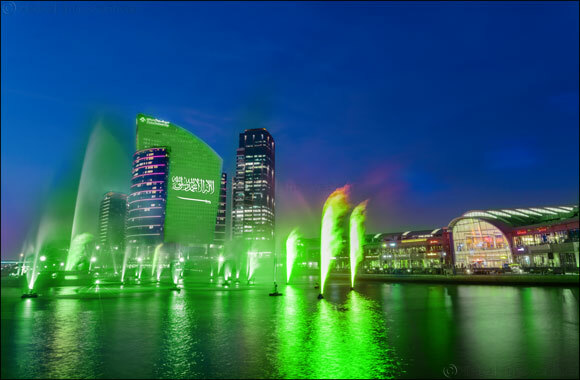 Dubai, UAE, 19th September 2018: Celebrating KSA National Day, Dubai Festival City Mall is the place to be this weekend from Thursday 20th until Sunday 23rd September, as the Mall announces a new IMAGINE show. The two-time Guinness World Record breaking, show like no other - IMAGINE, will celebrate this joyous occasion with a special show every evening after sunset for four days. Families will also be entertained by a traditional band that will roam around the Mall on Sunday the 23rd September from 4 to 7 pm. Shoppers will also be able to enjoy and array of different dining options on the waterfront at Festival Bay, as well as enjoy irresistible shopping offering at Dubai Festival City Mall stores.